The CH-47 Chinook was the U.S. Army's most widely used medium lift helicopter during the Vietnam War. Upgraded versions are still in service today. 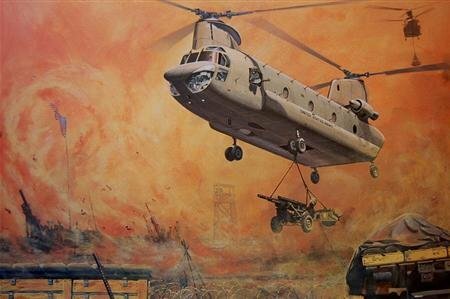 The standard print depicts a CH-47A delivering a 105mm Howitzer to a Firebase. For a customized version, the aircraft can be modified to represent an A,B or C model with unit markings and F.O.D. screens.